Even if you aren’t feeling the love from another parent, just smile nicely. You may end up getting a smile back too. If you know another parent and are talking to them, and you see a 2nd parent standing alone nearby it’s nice to involve them in the conversation. Nobody likes to be gossiped about so don’t gossip about people yourself. If you do gossip, you can be sure it will come back to haunt you. 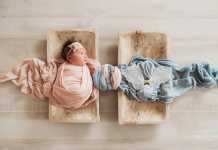 Try not to judge other parents. 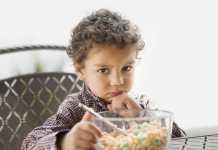 Maybe the woman running in looking like a mess has an ill parent to care for as well as her children to get to school. Maybe the dad dropping his kids off looking grumpy has a stressful job. You don’t always click with people the first time you meet them. Sometimes it takes a while to get to know people. 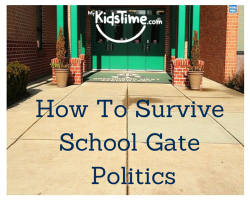 If school gate politics are really bugging you then time your arrival so you don’t have to hang about, just whisk your child in and whisk yourself out. If people do try to make you feel bad, just walk away from school and leave the bad feelings behind at the school gate. Remember you came to meet your kids and they were so pleased to see you, so just focus on that. Remind yourself that you don’t need to involve yourself in politics, you don’t have to be mean to other people to fit in and you don’t need other people’s approval either. Just ignore it all, keep your smile on and concentrate on your child. What more can we say. Just be yourself, hold your head up high and ignore the politics. Life is too short! 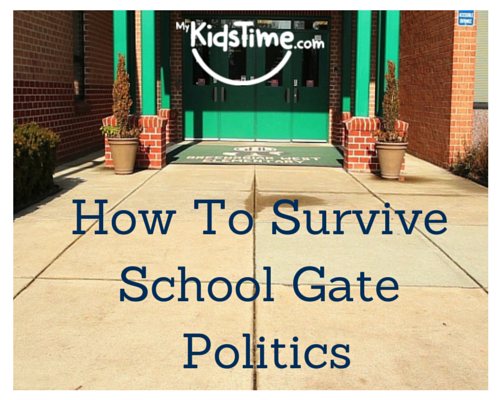 Have you any tips for parents on surviving school gate politics? Share them with us in the comments below.